Say "Goodbye" to frown lines and wrinkles! Dysport is botulinum toxin that will give you natural looking results when treating moderate to severe wrinkles and frown lines between your eyebrows. Unlike other products, Dysport will not give your face a frozen look because it only targets the muscles that are injected leaving the rest of your facial muscles full range of expression. Dysport is a prescribed injection which helps to minimize the appearance of severe wrinkles and frown lines between the eyebrows. Dysport blocks the nerve impulses of the targeted muscle to temporarily prevent muscle movement. One injection at each of the locations between and above the eyebrows will smooth out the skin and reduce the appearance of wrinkles. It works quicker than other similar products due to its smaller proteins. 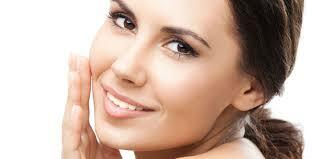 Unlike the other treatment, Dysport removes your lines without sacrificing your natural look. Your face would not have a frozen look when you undergo Dysport treatment. You are still free to use your facial expressions. "How does Dr. Truong apply Dysport?" Like in most cosmetics treatments, the doctor should first establish whether the treatment is suitable for you, identify the specific application points and determine the dosage. Then they will directly inject the designated points with a fine needle. To relieve some discomfort the doctor might give you an ice pack to hold on the area before the injection. The application of Dysport should only take about 20 to 30 minutes. "How long does the treatment last?" Most people normally start to see the result within a few days. A Dysport treatment can last up to four months and it is recommended to continue treatments after that. Having repeated treatments of Dysport can help reduce future fine lines and wrinkles. Dysport is safe for most skin types and ethnicities. It is also important to read the ingredients of Dysport for any known allergy and talk with your Dr. to see if it is the right product for you. Dysport is a recommended product for anyone under the age of 65 the does not have an allergy to botulinum toxin or cows milk protein. "How much does Dysport cost?"